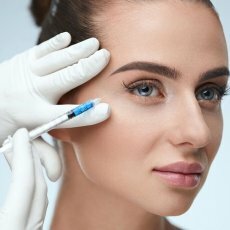 Much is known about the benefits of Botulinum Toxin Type A injections (commonly known as BOTOX®) and many of our patients swear by it without the knowledge of their friends or family – because when given properly, it looks very natural. 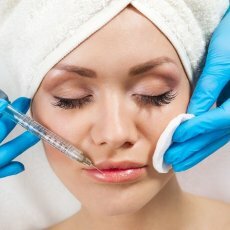 However, there are critically important things to note about this highly effective treatment: firstly, that you should only have botox administered by a skilled, reputable medical person with a proven track record for safety; secondly, that that person should be experienced in working with individuals to achieve a look that is completely natural-looking. Rest assured, Riverbanks can confidently tick both boxes. 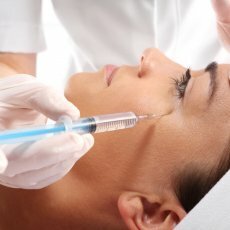 Botox is the most effective treatment for smoothing out dynamic facial wrinkles (the ones that appear when you smile, frown or laugh), for example on the forehead, around the eyes or between your eyebrows. One session temporarily relaxes muscle contractions to give you a fresher, brighter, more relaxed appearance. Wrinkles become smoother and often even disappear altogether. Most people require 1 session every 4 months in the first 2 years, then every 5-6 months thereafter. Consider these treatments as part of your skin care maintenance. It happens to all of us. 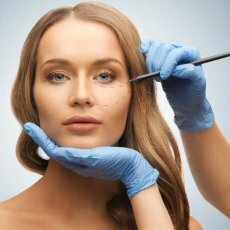 As we age, lines start to appear on our skin and the contours of our face sag, making us look older than we really are. Over time, our skin is also battered by stress and the environment. But what if I told you that there was a way to slow down the processes that age our skin, so you can stave off those wrinkles for longer? That it can help repair skin that is already damaged, and make it look healthier than it’s done in years? And that it can even help heal skin with scars, acne, rosacea, eczema and other dermatological conditions? Well, there is – it’s called Byonik. We are so impressed by this cutting-edge treatment, we have brought it to the UK, where it is available exclusively through Riverbanks. Like many skin treatments, Byonik works by delivering hyaluronic acid to your skin. This is a gel-like molecule that is key in helping hydrate your skin and maintain its elasticity. But Byonik is unique in two ways. After we apply a hyaluronic acid gel to your face, we use a gentle, non-thermal laser to release energy into your skin. This opens a pathway to your skin cells and allows the antioxidants in the HA to enter them directly, delivering the HA far deeper than any other treatment and repairing your skin at the cellular level – not just on the surface. To make the process even more effective, the laser is triggered by your own pulse. It releases the energy at the exact moment when your pores swell naturally, with your heartbeat, allowing the antioxidants to penetrate even deeper. The result? Your skin is infused with moisture, is more elastic, plumper (in a healthy way!) and your contours become better defined. The ageing process is slowed down, keeping your skin looking younger and firmer – and in peak condition. When should I consider Byonik? 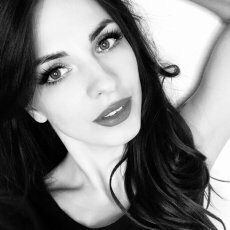 You are in your 20s and 30s and want to stave off wrinkles and lines for as long as possible. You are in your 40s and over and have dry skin, redness or fine lines to repair. You are considering starting Botox, fillers or skin peels, and want to get your skin in tip-top condition first. 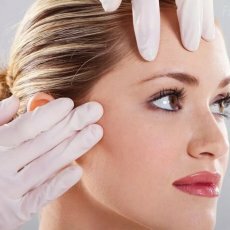 You have just had a skin treatment such as skin needling, peels or fractional laser, and want to enhance the results and heal faster. Laser skin treatments are very effective in removing lines and wrinkles, sun damage, shrinking pores and improving overall skin tone. Laser peels work by removing tiny parts of the top layer of your old skin to uncover the smoother, fresher skin beneath. Then, after about 30 days, new skin starts to reshape and develop new layers which continue to improve for 6-12 months after the procedure. Usually, for skin rejuvenation, only one treatment is required. This amazing skin treatment softens deep lines and fine wrinkles and your skin is smoother, fresher and more youthful. It is also an excellent treatment for smoothening out acne scars. It is essential to use SPF 30 following any skin treatment, and to avoid prolonged sun exposure for at least 30 days following a CO2RE treatment. After all, why go through a treatment if you are just going to damage your skin again! 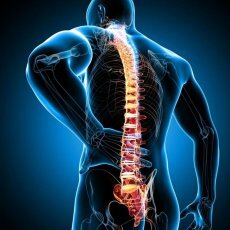 We regularly treat patients from London, Hertfordshire, Bedfordshire, Buckinghamshire & Northamptonshire. Local residents from Harpenden, St Albans, Redbourn, Hemel Hempstead, Aylesbury, Hitchin, Luton, Watford & Central London already know the high standards Riverbanks provides in all of the treatments on offer. 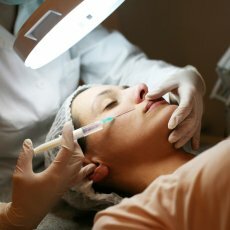 Dermapen is a new and innovative technique which will enhance the appearance of your skin without the need for invasive surgery. The Dermapen will give you improved skin texture and tone whilst tightening your pores and giving you an overall refreshed, rejuvenated and youthful look. Not just restricted to the face, the Dermapen can be used to treat the neck and chest where keloid, surgical or acne scars are visible. 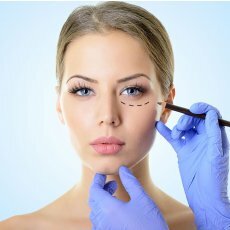 The Dermapen is a specially designed wand consisting of multiple needles that vertically pierce the skin causing what are known as micro-wounds. These micro injuries to the skin encourage and harness the power of the body’s innate ability to re-grow and repair the skin through the natural physiology of skin. Subsequently, new collagen and elastin are formed giving your skin a new life with improved skin texture and tone, firmness and hydration. Imagine what it will be like to remove those little imperfections and to smooth away the signs of an aging skin, those little wrinkles and the ‘papery’ look on your neck and décolletage. Radiant, resilient skin will shed the years and your friends and family will only notice that you’re looking really fabulous! We regularly treat patients from London, Hertfordshire, Bedfordshire, Buckinghamshire & Northamptonshire. Local residents from Harpenden, St Albans, Redbourn, Hemel Hempstead, Aylesbury, Hitchin, Luton & Watford already know the high standards Riverbanks provides in all of the treatments on offer. In 2008 we converted a 250 year old public house into a modern, state of the art, relaxing aesthetic practice. We perform all of our procedures on site including high definition body contouring. We are fully registered with the Care Quality Commission as an Independent Day Hospital.